Mykie calls her channel the “Swiss army knife of makeup tutorials,” and she’s not wrong. The Glam and Gore Makeup YouTube Channel offers everything from simple everyday makeup tips to product reviews to seriously high-end costume makeup and prosthetic tutorials. 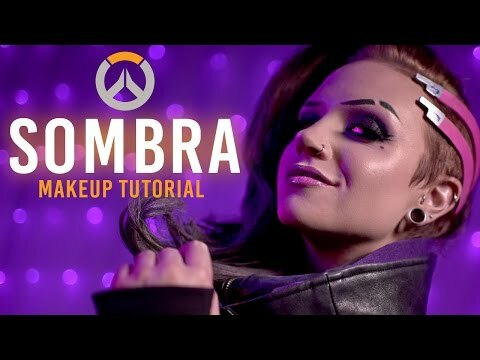 By popular demand, Mykie has joined the fight and done an Overwatch-related tutorial of her own: this one for the fan-favorite hacker and former ARG headache Sombra. While Mykie doesn’t include cosplay construction tips (as she says that’s not her forte), she does offer a little help for the hairstyle and cybernetic graft. The rest is purely makeup, down to her beauty mark and famous eyebrows. Believe it or not, this is one of the more laid-back styles featured on Mykie’s channel. Poke around enough and you can find anime styles, Disney princesses, and some seriously creepy creations that explain for the source of “gore” in the channel title.